HOME - Hal Fillinger: Vintage Vehicle Restorations, Inc. Welcome to the new online home of Vintage Vehicle Restoration Services! We offer restoration services for motorized, horse-drawn, and hand-drawn vehicles of the early twentieth century. I specialize in early American LaFrance vehicles and fire apparatus, but my interests and experience reach further to all makes and models from this marvelous chain-driven era–including race cars! If you have a project you’re interested in restoring, I not only offer you the expertise and resources of a lifetime in this field, but will share your enthusiasm as we work together to bring it to its former glory. I also maintain an inventory of interesting vehicles and parts for sale, so please check back regularly. 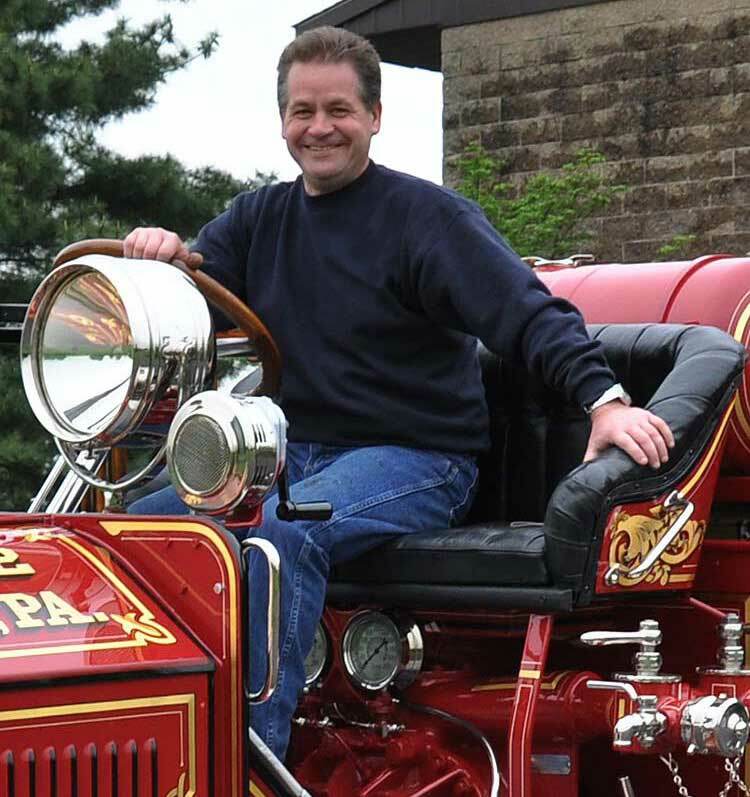 Kean University of Union, New Jersey filmed me at their beautiful Liberty Hall discussing my restoration work, including the 1911 American LaFrance Metropolitan Steam Engine and the 1927 Seagrave Pumper, along with some early American fire fighting history.